Zimbabwe’s military ousts President Mugabe: what next? 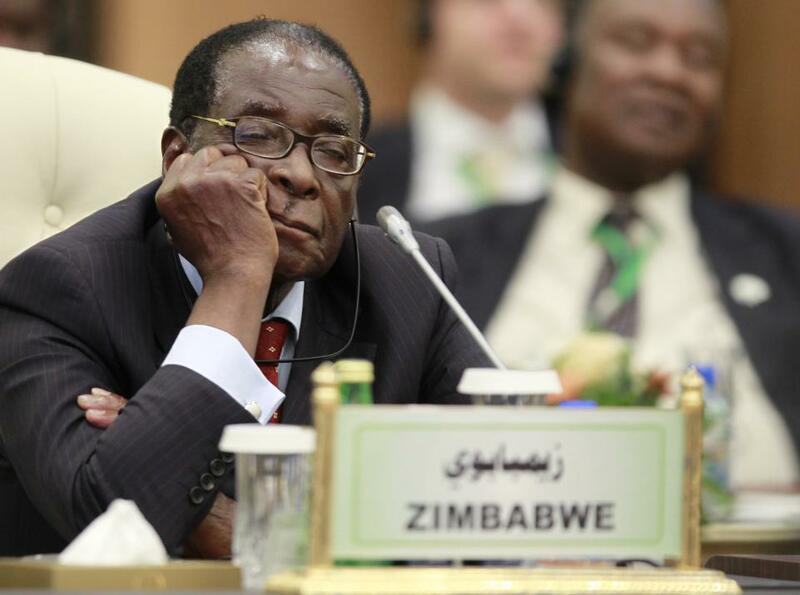 President Mugabe has lost his near four-decade hold on power. How will the crisis play out? 1300 GMT, October 9: Mnangagwa is removed from his position as Minister of Justice in a cabinet reshuffle; analysts viewed this an attempt to bolster Grace’s position to succeed President Robert Mugabe. 1709 GMT, November 6: Reports emerge that President Mugabe has removed Mnangagwa as vice president for “disloyalty, disrespect, deceitfulness and unreliability”. 1452 GMT, November 8: Mnangagwa flees the country citing “incessant threats” to his life. Reports circulate of a possible coup led by Mnangagwa and the higher echelons of the military. 1100 GMT, November 13: Military chief General Constantino Chiwenga warns that the army could intervene to purge “criminals” in the ruling Zanu-PF Party. 1344 GMT, November 14: A convoy of tanks are seen moving towards the capital Harare, spurring speculation of a military coup. 1700 GMT, November 14: The military deny a coup is underway. After occupying national broadcaster ZBC it releases a televised statement saying that President Mugabe is safe. 1000 GMT, November 15: The military places Harare under its control and South African President Jacob Zuma confirms that Mugabe is under house arrest. 1300 GMT, November 16: Negotiations between Mugabe and military leaders commence with South African envoys mediating the talks. 1030 GMT, November 17: Mugabe makes his first public appearance since the military occupation at a university graduation on the outskirts of Harare. 2000 GMT, November 17: Zanu-PF provincial structures in the provinces call for Robert and Grace Mugabe to resign from the party. They also call for the party to convene a special Central Committee meeting in two days. 0500 GMT, November 18: Protesters gather in Harare to Mugabe’s resignation. Hours later, the demonstrators reaches Mugabe’s office. January 1998: Mass protests over high interest rates and inflation. February 2000: Government-backed war veterans and squatters forcefully reclaim white-owned farms citing illegal colonial seizure. February 2002: The controversial land reform program leads to Zimbabwe’s suspension from the Commonwealth and targeted sanctions by the EU. March 2005: The ruling ZANU-PF party wins two thirds of parliamentary seats in an election the opposition MDC claims has been rigged. May-July 2005: 700,000 slum dwellers are displaced in an urban clean-up program. May 2006: New banknotes introduced after Zimbabwe experiences annual hyper-inflationary rates of over 1000%. June 2007: Civil unrest leads to the first round of talks between ruling ZANU-PF and the opposition MDC party in South Africa. June 2008: Citing intimidation, opposition leader Morgan Tsvangirai pulls out of the disputed runoff presidential election. September 2008: ZANU-PF and MDC broker a power sharing deal. March 2010: Introduction of an indigenisation legislation that favours local majority shareholding in foreign-owned businesses. March 2013: Promulgation of a new constitution imposing two five-year presidential term limits. July 2013: Mugabe wins his seventh term in office in an election branded as fraudulent by the opposition. August 2014: Mugabe’s wife Grace is nominated as leader of ZANU-PF’s Women’s League, sparking possible succession speculations. August 2016: The War Veterans Association, staunch Mugabe supporters, withdraw their support for the president. 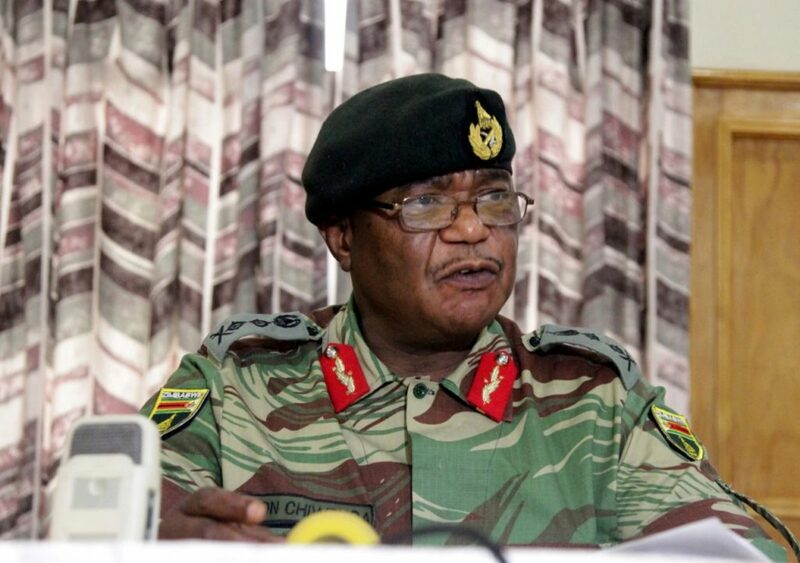 November 2017: Brigadier General Sibusiso Moyo announces a de facto take-over on state TV but insists it is not a coup. With the capital under military occupation and Mugabe under house arrest, the country’s politics will be determined by ongoing negotiations between the president, his loyalists and core military leaders. Mugabe will most likely voluntarily resign as he faces increasing pressure from those within the ZANU-PF and population at large. The long-time leader has limited options and will use talks to push for certain preconditions—namely the safety of his family and immunity from prosecution for his alleged human right violations. However, if he refuses to leave office, he may be allowed to keep his title as president, but in name only. Mugabe has been increasingly isolated from ZANU-PF loyalists who fought with him in the liberation war due to the machinations by Grace Mugabe and “G-40” faction. As a result, those who once swore allegiance to the 93-year-old president have switched to Mnangagwa and the military. Mugabe no longer has the political authority to maintain his standing as president. While his 37-year reign will end, the transition of power will ultimately pass to the hands of the Zimbabwean elite, now composed of the Mnangagwa, the Lacoste fraction of the ZANU-PF and military leaders. In the aftermath, Mnangagwa will most likely be positioned as the country’s interim president until fresh elections are held. While a vote was meant to be held next year, the elections will be brought forward in an attempt to cement Mnangagwa’s status as the country next ruler. Given Mnangagwa’s reputation as “the Crocodile”—a core Mugabe loyalist who has bided his time to take power—the chances of the elections being free and fair are low. Just as with Mugabe, electoral votes will mostly be rigged to ensure that the ZANU-PF will remain the country’s ruling party. The political turmoil may devolve into violence if Mugabe staunchly refuses to give up his claim to power. There is a chance that those remaining few who are still loyal to Mugabe and members of the G-40 may attempt a counter offensive if the president refuses to resign. However, with Grace Mugabe out of the picture, the detention of core G-40 leaders and the military’s allegiance to Mnangagwa, it will be difficult for Mugabe’s staunch loyalists to launch an effective offensive. The likelihood of conflict is also lowered due to the military’s stance of resolving the crisis through non-violence. While this can be attributed to the military’s lingering respect for Mugabe as the liberation hero who triumphed over white minority rule, the influence of regional powers and the military’s desire for the coup to bear some legitimacy are the two biggest factors for this bloodless takeover. The African Union (AU) has condemned the coup, and the regional Southern African Development Community (SADC) body frowns upon coups. 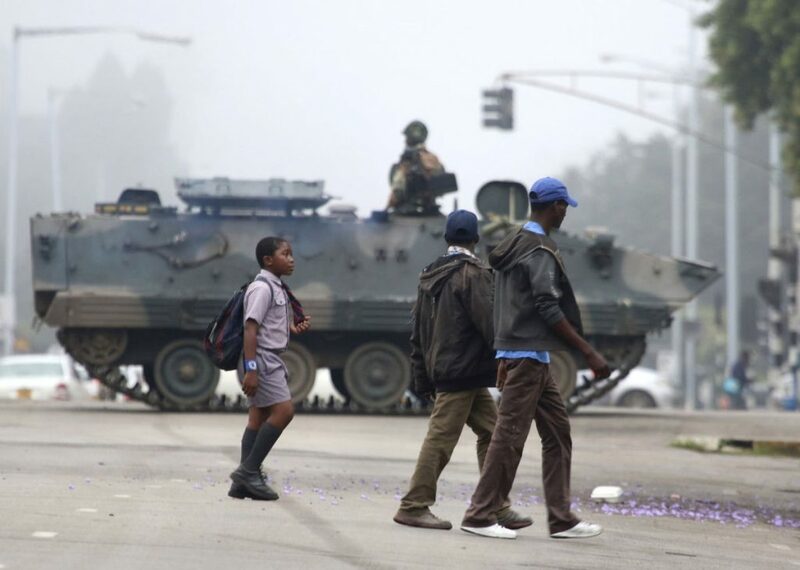 The military’s insistence that the occupation of Harare is not a coup is a reflection of their aversion to antagonising both bodies and the international community at large; an escalation of tensions could see Zimbabwe suspended from the AU. 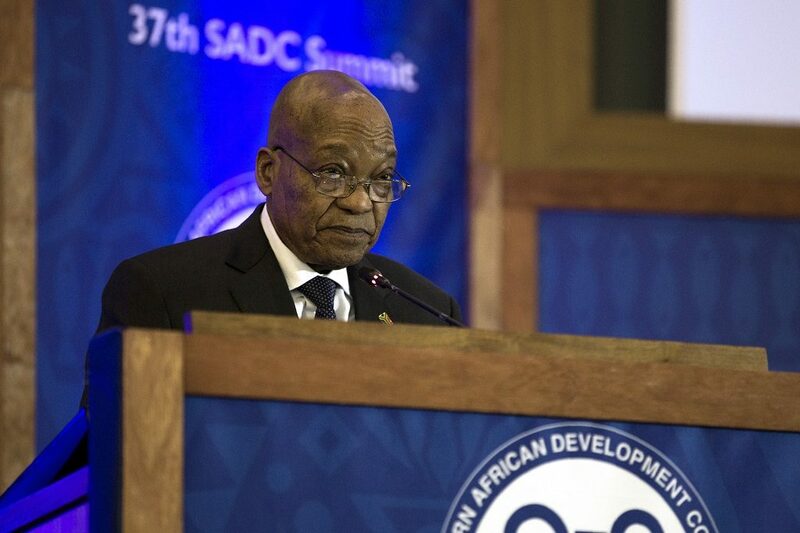 South Africa’s President Zuma, also chairman of SADC, has sent envoys to mediate the negotiations, most likely as means of leverage should the negotiations turn sour. The envoys’ presence and regional pressure will stave off the advent of a bloody coup and will most likely prevent Zimbabwe from entering a situation akin to a civil war. Zimbabweans hope that Mugabe’s fall from grace will lead the country to a brighter future and alleviate the conditions of an ailing economy. But despite the political transition, the realities on the ground will most likely stay the same. A resolution to the political crisis will not immediately change the economic destitution many Zimbabweans experience day to day. Mnangagwa’s former status as the head of intelligence unit and his allegiance to Mugabe’s regime for half a century mean his anticipated takeover is unlikely to result in dramatic political change. In the eyes of many, Mnangagwa is just as feared, if not more so, than Mugabe himself. The elites that coveted power and amassed wealth from the country’s rich natural resources at the expense of the populace will remain uninhibited under Mnangagwa; in effect the balance of power won’t alter drastically. The 2018 national elections may provide some semblance of political power to ordinary citizens to decide their leader, but this will only be the case if the conduction of the electoral vote is free and fair. With 90% of the populace unemployed and the increasing risk of hyperinflation, Zimbabwe is teetering on the edge of economic collapse, despite the country’s abundant natural resources in diamonds, gold, tobacco and oil. This could change if Mnangagwa is elected as the country’s next ruler. Favoured among international powers because of his adherence to neo-liberal principles, Mnangagwa’s presidency would most likely open Zimbabwe up to the global market and encourage greater foreign direct investment (FDI). Though China has invested heavily in Zimbabwe’s tobacco industry, it remains one of the few countries that are willingly to trade with the isolated, sanction-strapped nation. If Western leaders sense that Mnangagwa’s economic policies align more closely with the West, then the sanctions that have weighed down economic growth may be lifted. The alleviation of sanctions and greater FDI would aid in revitalising the agricultural industry, which has long been a key sector in the country’s economy. Whether these developments come to fruition depends on the outcome of the leadership crisis. If Mugabe continues to dig in his heels, the fate of the country and the economy will be at an impasse and the problems inherent within Zimbabwe’s economy will continue unabated. The economy’s fate also lies in the actions of Mnangagwa and the ruling ZANU-PF. Though there is hope the former vice president will rectify the country’s economic woes, the rampant corruption that exists within the highest echelons of political power may hinder his efforts. There is also no guarantee that Mnangagwa will not follow the same path as Mugabe and hoard the country’s wealth for himself. Until this week, the touted exit strategy for Mugabe has been his eventual death in office, with his wife tipped for succession. African continental and regional bodies have been jolted by the precipitous turn of events, particularly as the AU and SADC have traditionally taken to soft-pedaling on Zimbabwe’s crises. The recent developments will ramp up the SADC’s casual mediation approach in Zimbabwe in an effort to avert a regional crisis. The bloc’s peacemaking efforts through South Africa have been consistently criticised for being partial, and for “quiet diplomacy” in the Zimbabwe crisis. In part, this has been influenced by Mugabe’s stature as an elder statesman and his credentials as a freedom fighter. But with Mugabe’s ouster, SADC has an opportunity to negotiate with both the ruling Zanu-PF and opposition MDC on more equal terms to bring about a measure of stability in the key regional state. When the coalition government is eventually cobbled together in Harare—as is the most likely outcome in the short-term—SADC will most likely contend with internal squabbles from the old guards in Mugabe’s circle and the ostensibly fresh opposition figures. While a coalition government is an attractive conflict management tool under the circumstances, the Kenyan and Zimbabwean cases have shown that it has its pitfalls, which should be anticipated and skilfully managed. The likely coalition partners share a fractious history, which will play out in the new political dispensation. If SADC fails to manage the challenges that accompany the setup of a unity government, there is likely to be another political impasse and heightened frustrations about the Zimbabwean populace. SADC’s key interest will be to stem a potential surge in refugee flows to Zimbabwe’s neighbours should the current standoff persist. Refugee outflows into southern Africa from conflict zones, particularly the Democratic Republic of Congo, are a pre-existing pressure point for SADC governments. The region, particularly South Africa and Botswana, are still reeling from spillovers from Zimbabwe’s multiple economic and political crises. As a result, some poverty-stricken South Africans have attributed their economic woes to Zimbabweans and other foreigners, prompting xenophobic reprisals. Preventing further escalation of tensions and anger, which could be redirected against national governments, will be SADC’s priority. The crisis is a moment of reckoning for the region’s hegemon, South Africa, and offers beleaguered President Zuma an opportunity to shore up the country’s image. Zuma has been facing domestic backlash resulting from his embroilment in corruption, accusations of state capture and the tarnishing of South Africa’s image in the global arena. He is likely to depart from past attitudes towards Zimbabwe and take a more decisive role in mediating the impasse. By doing so, he can mitigate the risk of a drawn-out or increased spillover of the conflict. The ensuing accolades may also divert attention from his own political woes, even if only momentarily. This crisis presents yet another opportunity for reflection and reorientation of peacemaking and state building in the African continent. Similar crises have produced mixed results for domestic populaces, as the the downfall of Libya’s Muammar Qaddafi and the recent failed coup in Burundi demonstrate. African continental and regional blocs are unlikely to pursue decisive interventions in any strongman’s backyard unless crises reach tipping points as has been seen in Gambia and possibly Zimbabwe. On a positive note, the Economic Community of West African States (ECOWAS) boasts a precedent-setting example in its recent intervention in Gambia, where President Yahya Jammeh was forced from office after a 22-year reign when he refused to transfer power to the newly elected Adama Barrow. That said, the size and strength of the actors involved in any crisis, including other contextual state structures, should be underscored. Jammeh was smoothly subdued in part due to the small size of his country in terms of the military, economy, population among others. Other complementary factors included the popular impetus for change and independent institutions exemplified by the electoral commission. ECOWAS’s robust Mediation and Security Council, its intervention mechanism and the bloc’s track record in conflict management in the region also played a decisive role in the Gambian exemplar. Nevertheless, African strongmen will be closely watching events in Zimbabwe, taking notes and revising their survival scripts. Rulers like Museveni of Uganda, Kagame of Rwanda and Nkurunziza of Burundi are likely to be threatened by Zimbabwe’s developments, and emboldened to consolidate their positions in power. This may lead to further human rights violations and bastardisation of their political systems. Part of Mugabe’s political narrative of survival has revolved around Western imperialism, a narrative reinforced by the imposition of sanctions on the Mugabe government in the early 2000s, in the wake of the controversial land reforms. With the imminent establishment of a coalition government, the West will recalibrate and burgeon its diplomatic and economic relations with Zimbabwe. While the West will attempt to counter China’s footprint in Zimbabwe, the latter is likely to remain the big winner for its robust and enduring partnership through Zimbabwe’s dark days. The West’s key economic interests will be to boost bilateral trade and investments, particularly by tapping into the country’s natural resources. The West is therefore likely to cooperate with China to buttress Zimbabwe from further instability, and play an influential role in the continental and regional level peacemaking process. However, external powers will stay in the background to avoid their highly criticised interventionist image.